While a lot of us have experience painting miniatures, I doubt most of us could create works of art on a canvass. It really is a bit different of a painting technique. And those that could, would you be able to create forgeries of famous artists works? 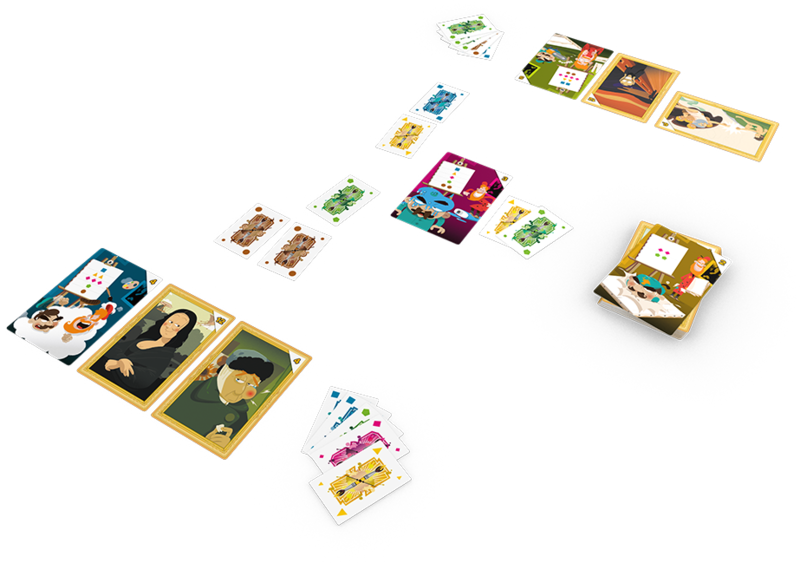 Well, you can in Final Touch, a new card game all about creating perfect copies of famous pieces. Players can either add touches of paint to the masterpiece in play to add to its value or they can add smears that will potentially ruin it. Though even a slightly-off masterpiece is still worth a couple bucks to someone. The first player to get to $25 is the winner.